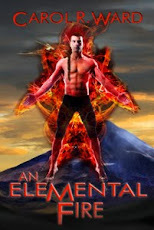 Congratulations to Graceunderpressure and RamblingWords, winners of a free copy of An Elemental Fire! Graceunderpressure, I already know where to find you, and RamblingWords I'll need you to email me at carolrward(at)gmail(dot)com to arrange to collect your prize. The rest of you will just have to buy your copies. 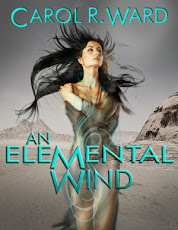 :-) The sale price for the e-version is .99 cents at Amazon, An Elemental Fire, and Brazen Snake Books until the end of June, after which the price will be $2.99. The paperback version is now available at Brazen Snake Books and Amazon for $9.99. Last week had its ups and downs, and I was late with I think every post except Water, but over all it was a productive week. I think a lot of my productivity had to do with the fact I had a lot to do last week. :-) That and I stayed away from the games . . . except for Castleville. But I only play it maybe twice a day and never for more than an hour. I did lose some time on Thursday and Friday sewing a dress for my daughter to wear to her cousin's wedding, but I still managed to knock off a couple more transcriptions and the edits on a smoking hot novella by Trinity Marlow. If you're looking to put some sizzle into your summer, check out her stories at Brazen Snake Books. Please note that I finally updated my "What I'm Working On" page on Random Writings. This includes links for my two books. What’s Up This Week: The schedule is up on the side bar, so I’m just giving the highlights here. Tuesday On Random Thoughts Part B of my new series, Angels and Devils. On Random Writings I will be reviewing a terrific book I received in the mail a few weeks ago. Thursday we have Chapter Twenty-one of Water (on Random Thoughts) where life goes on for Ravi. And cross your fingers, I'm hoping to do an author's interview on Random Writings. Friday I'm still on a Flash Fiction vacation this month on Random Thoughts, and although I did post original poetry on Random Writings last week, there's no promises whether it will be my poetry or someone else's this week. Love a good malapropism, she says disgusting your every word.